I believe reading should always be a joyful experience, one that lifts our spirits and leaves us feeling inspired and hopeful. For us, book lovers, when life gets tough books are there to support us. 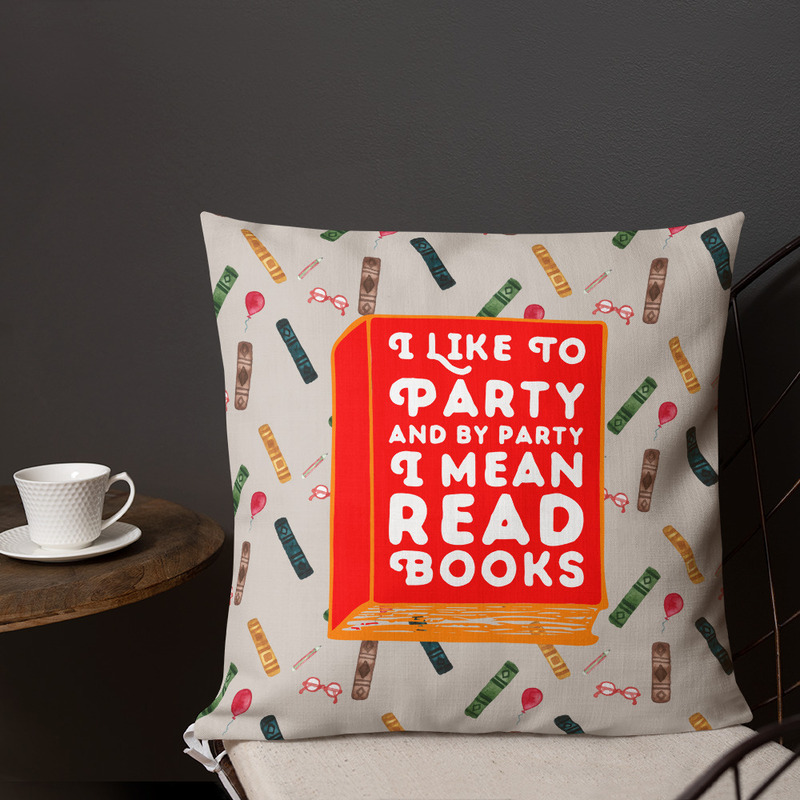 And most certainly, books combined with a dash of “bookish humor” will make our gray days a bit brighter. I know that when I'm having a rough day, there's nothing better than finding comfort in the pages of a book, while sipping tea and sitting comfortably in my reading chair with my favorite pillow by my side. I designed this collection having in mind exactly that. Because I believe in kindness, things well-done and always putting your best work forward, I strive to offer you quality goods that will put a huge smile on your face. Before I go any further, I just want to let you know that I have a 10% discount code for my email subscribers. To receive it just sign-up for it here. Sign up to my newsletter and you will receive a 10% discount code for your first purchase in my shop. You need to confirm your email address. My 18 x 18 (45 cm x 45 cm) throw pillows are made from moisture-wicking polyester that has a high-end linen feel to it. Every model is two-sided, one side has the bookish design and the other one a simpler design for easy matching with your other pillows in your house. Their zipper is hidden and they are printed, cut, and sewn by hand by my manufacturer’s in-house team. Because of their square shape, these throw pillows are great for supporting your back, especially if you have chairs in your house with uncomfortable backing. Thanks to their premium quality, my pillows are perfect to be used outdoors too. My tote bags are made of a thick bull denim cotton fabric, which means they are made from 100% natural cotton. When filled they can stand up on their own. 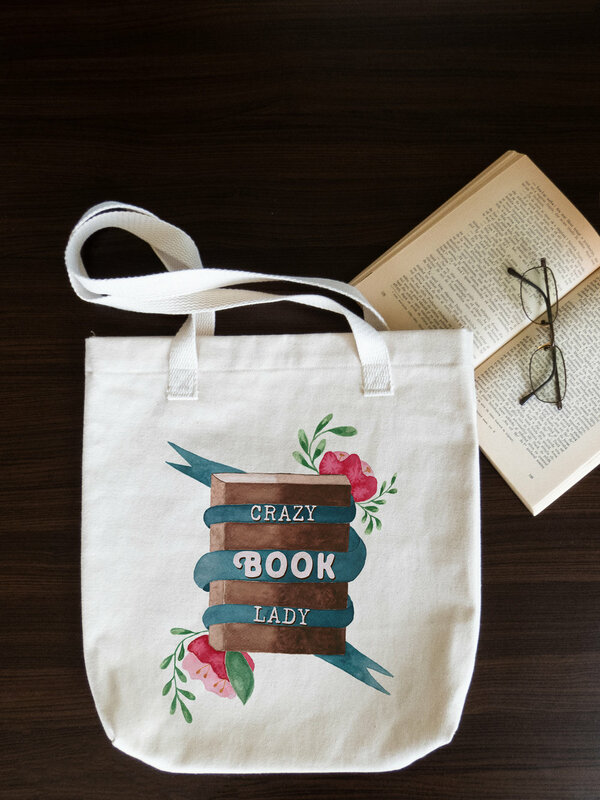 They are classic totes that will handle whatever you throw in them, but most importantly they can handle all your books! With long straps, you can carry them comfortably as a shoulder bag. Due to its strong 3 x 1 twill construction, bull denim cotton fabric is often referred to as being “tough as nails”, but while being extremely durable, it’s also very soft. Order one here and see for yourself :). 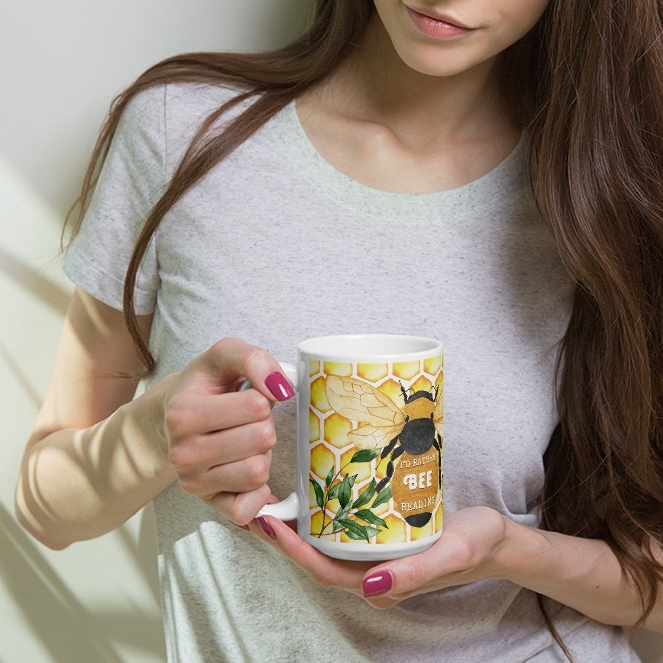 My mugs are sturdy and made from glossy ceramic. They are available in two sizes (11 oz - 325 ml/ 15 oz - 444 ml). Bonus: a design from a future collection dedicated to women readers and writers :). Click the pictures for more details. Bonus 2: just for your viewing pleasure, three of the original illustrations that I painted for some of the designs above. If you have any questions or you just want to chat, please don’t be afraid to contact me. I am here to help! You can do so on Etsy, Instagram or by email at office@anareads.